Jesse Herbert Chaffin was my uncle. He was my mother's 'baby brother'. Mother never got over losing him. Mother passed away on May 9, 1984 and up until the day she died, she always held out hope that Uncle Herb would be found or would come home. His mother died about 9 hrs. after he was born and so the two siblings were very close. He also had four half-siblings, two of which are still living. All three of his younger brothers served in the military. Uncle Herb had been their hero. He is also survived by a young son, Robert "Bob" Allyn Chaffin, I met my cousin 3 yrs. ago for the first time in my life; We call each other quite regularily now. I just wanted to say 'THANK YOU' so much for the wonderful way in which you have honored my uncle. My mother would have been so happy to see the wonderful memorial that has been created in honor of these fine men. 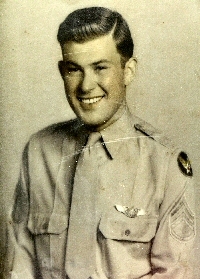 18 March 2006 - Per WWII Enlistment Records, 2nd Lt Jesse H. Caffin was a resident of Cabell County, West Virginia. He entered the service 3 June 1942. His place of enlistment was Ft. Thomas Newport, Kentucky. He had completed 4 years of high school and was a native of West Virginia. 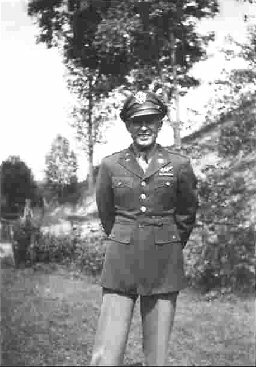 ; Per Roster of Officers, Ground and Air Echelon dated 30 Nov 1944 he received his commission on 9 Feb 1944. Also his niece would like to have contact with anyone who can provide more information, she can be reached via email by clicking on her name above.